Picking the best stocks can be a simple process if you avoid the most common mistakes in an attempt to ramp up returns. Get more stock trading tips from India Infoline. Trading is a gamble they say. And it is, therefore, one of the most common deterrents that keep people from trading in the share market. But in reality, trading is not as scary as it seems to be. 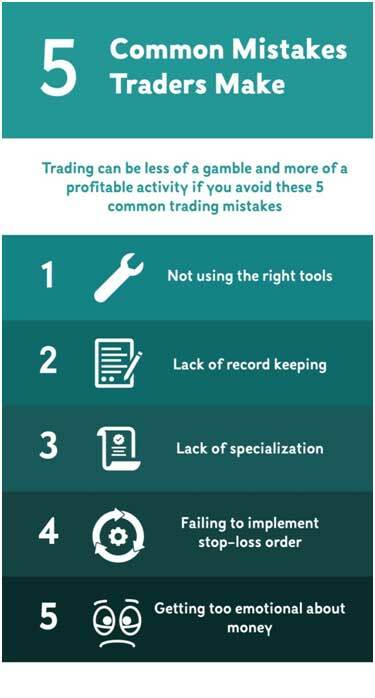 If only you can avoid some of the common mistakes that traders usually do, you can steer clear into earning good returns. Can you write something on paper without a pen or pencil? Or can you repair your car without the right tools? Just like these are not possible, trading without using the right tools is also a big mistake. This becomes more important than the examples even because it’s your own hard-earned money that you trade. Have good brokers to guide you, reliable trading software to assist you, some financial educational material to back you everytime you trade. The more you realize the value of these right tools and start using them, the profitable it might turn out to be for you. There’s a reason why you budget yourself everytime you get your salary. You note your expenses, liabilities, investments and distribute funds accordingly to each. Having it written helps you be more focused towards your goal, track your spending, budget your expenses and save better. Same applies to trading. Constantly recording your trading in your diary does contribute significantly to making you a good trader. You may or may not make money always but you can certainly review your trading patterns and improvise each time. So, don’t get low about losses but rather note it as a lesson that you can learn from and avoid next time. Market trading isn’t limited to stocks today. It involves other securities such as options, futures, commodities and currencies too. Having a specialization helps you to approach the hot market segment with a pinch of salt. Knowing your speciality gives you an edge. It helps you plan your way around the risks and attract maximum profitable returns. Technical knowledge, interpretation of data, networking or timing the trade, choose your skill and master it in a way that it works in your favour. Losses, like success, have the tendency to multiply but at a faster rate. Hence, it becomes very crucial that you take measures to stop it when you have the chance. Stop-loss order is one such opportunity. 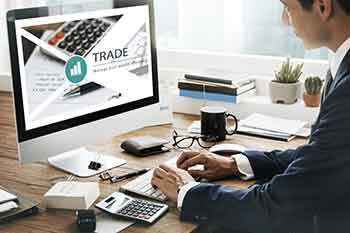 You can stop the trade if your losses reach a certain threshold. This way you can stop its snowball effect and change it back to something that works more in your interest. Dealing with money is more of an emotional gamble than economical. Traders earn or lose money all the time but what that’s the idea of it. Money is important to everyone. For some it meant the safety of themselves or their family, to others it was security while for yet others it is a symbol of status and power. However, these perceptions are right in their way, losing money then could mean losing things related to it. Therefore, it is important how emotionally attached you are to it. Trade smaller trade sizes till you are sure of your emotional state. The better you are in control, the better trading decisions you would make. Trading is a good way to make some money in the market however, you need to play smart. Avoid the mistakes that people generally do and make the most of the opportunities at hand. Use your instinct along with your experience and market knowledge to earn good returns. If you haven’t yet started investing, let this be your guide to steer clear of the risks and start investing now.